A great gift idea for a young child's birthday, first communion and daily reading! Publishers Note: This beloved edition of the world’s greatest book, beautifully illustrated and written in a clear, simple style for children, has been approved by an editorial board consisting of leaders from the Protestant, Catholic, and Jewish faiths. It consists of six parts: parts one through four drawn from the Old Testament, parts five and six from the New Testament. Each page is alive with stories of every sort of people, their words and deeds, and notated with the books of the Bible they are taken from. 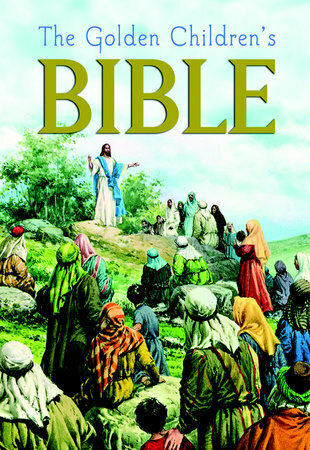 . . a perfect introduction to the Bible for young people.